I have never ever made pie crust before, if a recipe asks for pie crust, then I tend to avoid the recipe or I use puff pastry and just poke holes in the base and hope that it doesn’t puff up too much during the baking process. I tried making pie crust once, I won’t lie, I blind baked it and it shrunk so much that it was only a base and no sides and I never tried it again, that is until today. 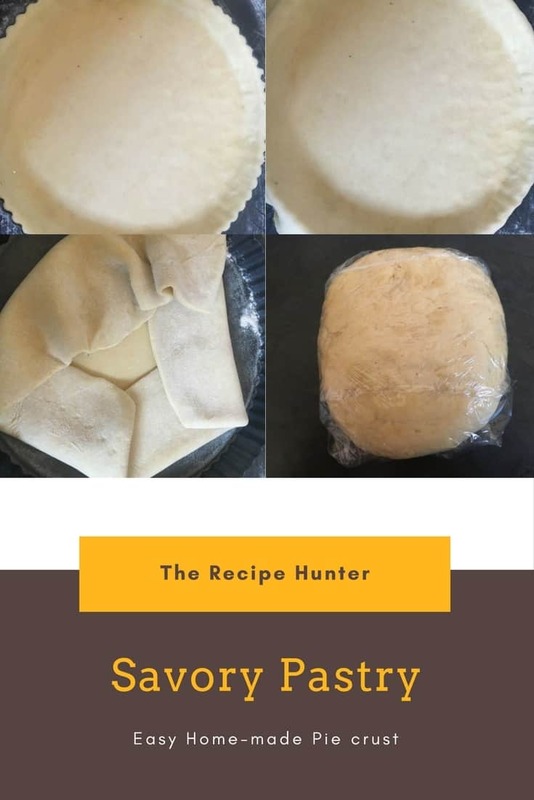 You roll the pastry so that it is bigger than the base of the dish, slide the base plate under the pastry and fold the pastry on top of each, so that lifting it up makes it each. Gentle press down and into the sides of the dish, using a rolling-pin, roll over the top so that the excess can easily be pulled off. Wrap in cling wrap and pop into the fridge to use within 24 hours or into the freezer till you are ready for use.